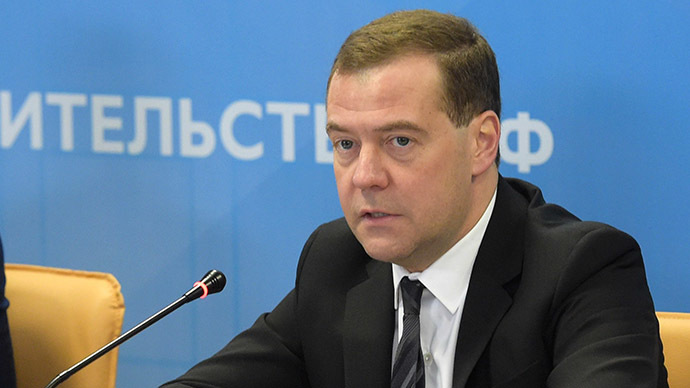 Russia’s response to a possible cut-off from the SWIFT international banking payment system will be “unrestricted,” Prime Minister Dmitry Medvedev vowed. The West is pushing for hitting Moscow with more sanctions as the Ukraine crisis deteriorates. Calls to disconnect Russian banks from the global interbank SWIFT system came amid the deterioration of relations between Russia and the West, and the introduction of sanctions in response to Moscow’s alleged role in the Ukraine conflict. Thus, last August the UK proposed to exclude Russia from the SWIFT system as a part of sanctions imposed on the country due to the situation in eastern Ukraine. However, SWIFT has said it does not intend to switch Russia off from the system, adding that a number of countries have pressured it to do so. It has insisted it is not joining the anti-Russian sanctions. Back in December, Russia's Central Bank launched a new SWIFT-style payment service aimed at moving away from Western financial dominance. The possibility of cutting Russia out of SWIFT, as well as a list of other anti-Russia measures, will be on the table during a meeting of EU foreign ministers on January 29. To be imposed, the new sanctions must be approved by all 28 EU countries. SWIFT provides a network that enables financial institutions to send and receive information about financial transactions in a secure, standardized, and reliable way. SWIFT is a cooperative society under Belgian law and is owned by its member financial institutions. It has offices around the world. The system is comprised of over 10,000 financial organizations from 210 countries. “What is it if not a political decision?” he questioned. “We will of course go through this, but it is bad that in a whole it complicates the situation in the country and, honestly speaking, in the world,” Medvedev said. Also on Tuesday, the prime minister signed a decree containing the main points of the government’s anti-crisis plan, press secretary Natalia Timakova said. The document will be published on Wednesday, when Medvedev plans to discuss details with regional leaders and members of the United Russia party.